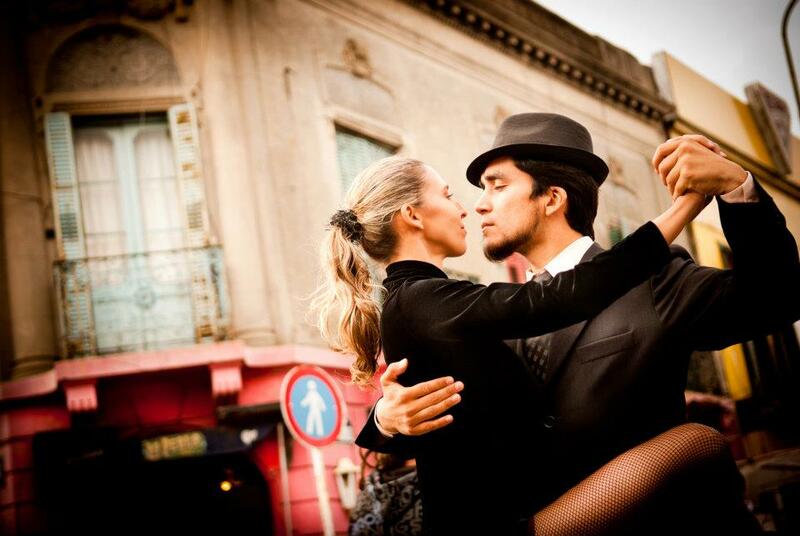 Buenos Aires Local Tours: Buenos Aires Local Tours are free tours of Palermo, Abasto, Congreso and Plaza de Mayo and are a great way to get to know the city and the public transport system! Jonathan, the friendly Englishman in charge, takes visitors to both city landmarks and to lesser-known charmers that are often overlooked, with the purpose of showing the unseen side of the city. The tour is by foot, public bus and subway so some coins are needed but other than that there is no cost (although a well deserved tip is welcome). The meeting point is the Garibaldi Statue in Plaza Italia at 11 am on Mondays through Saturdays. More information here. San Telmo Art Walk: The San Telmo Art Walk is offered by Juanele every Tuesday and Thursday at 3pm and guides you through the who is who and what is what of these art-ridden streets. The three-hour walk includes a tour of both the street art and galleries. A great way to get to know the current Buenos Aires art scene whilst getting to know its charming old-style San Telmo neighborhood. More information here. Foto Ruta: Professional photographer Jocelyn Mandryk (who took Fierro’s latest photographs) and her associate Becky Hayes have taken tourist photography to a whole new level on their Saturday Foto Ruta tours. What they propose is to get to know the city from another point of view, taking their travelers through off the beaten path locations and setting creative guidelines for the photographs so that they can explore the local colors and characters through the lens from a new perspective, finding what they normally wouldn’t on a typical tourist location. An added element is brought to the experience as the tour group gathers towards the end, sharing and discussing the pictures and different interpretations of the guidelines. Graffiti Mundo: Aiming to promote the urban art scene in Buenos Aires, Graffitimundo offers off the beaten path tours of the city’s street art. Group tours, Bike tours and Private tours are available for those interested in learning more about these unique murals and the political and social context behind them. For those looking to get involved in the creative process itself they offer a great stencil workshop as well. Argentina Polo Day: To really get to know Polo, and why not, play it, Argentina Polo Day have put together an excursion combining a taste of traditional foods and wines, relaxing and leisure by the pool and amidst nature, and of course horseback riding, polo lessons, polo matches and the chance to interact with some of the best local players and coaches. Argentina Polo Day takes place in a countryside setting at just a 45-minute car ride away from Buenos Aires, and transportation can be arranged if needed. The tours run every day and must be booked in advance. More information here. Cooking Tours with Teresita: Different cooking classes and food tours are offered in this bed and breakfast in the outskirts of the city. Whether its a short empanada lesson, a one day food tour or a chance to make asado you’re sure to enjoy this popular option, where you will be able to cook and sample delicious local food and wines. More information here. The Man Tour: Landing Pad BA offers this exclusive tour for gentlemen in which the Caballito, Congreso and Belgrano neighborhoods are toured with special stops at a traditional barber for a hot lather and straight razor shave, at a hatter for a fitting using techniques and equipment from the 1920´s, and finally at a cigar bar for a complimentary drink and cigar. More information here. This entry was posted in Where to Go, What to Do and tagged argentina, art, asado, buenos aires,, city tours, Cooking, empanadas, graffiti, History,, horseback riding, photography, polo, tours, Travel by Fierro Hotel Staff. Bookmark the permalink. This is diltneiefy somewhere I need to go, many of my friends have been and love the city. Looks like there’s so many things going on! We agree, you need to come down here! The city has so much to offer, there´s allways something to do or see!